Stop the presses! 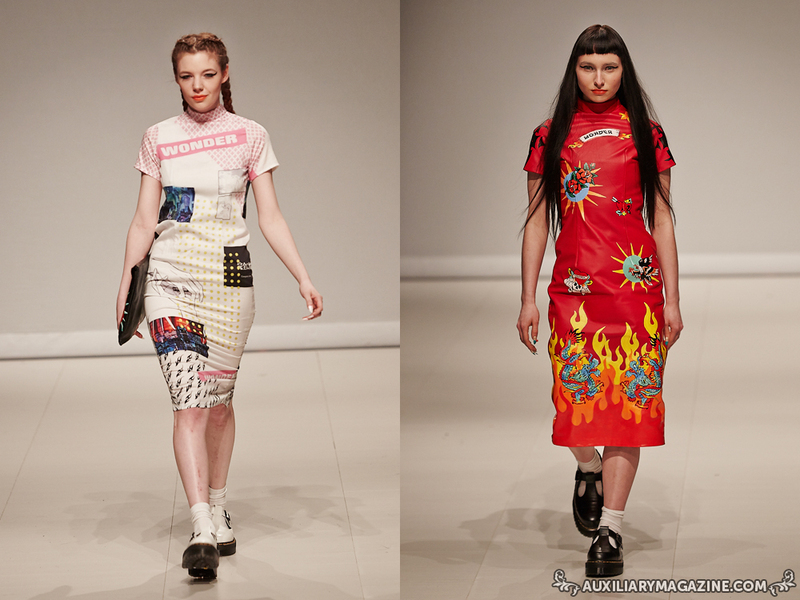 Miss Beth a.k.a Dolly of Dolly Bag fame is now making dresses?! Here is a Cats Like Us exclusive dress from Dolly’s new dress line called Dolly Valentine. This first dress is the Deliliah dress in the rat pack print and it has caused a big buzz with the Cats Like Us crowd and Dolly Bag fans. The dress design was drafted and sewn with love by Dolly herself, she truly has out done herself ! 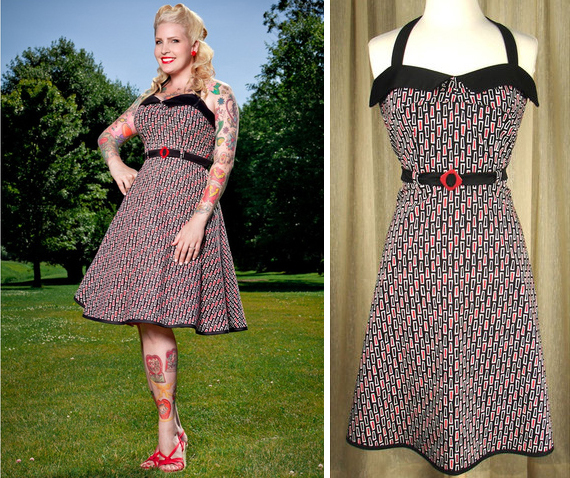 I love the retro style fabric design, the belt detail, and the fact that this dress is great for any body type! Stay tuned for more Dolly Valentine creations to grace the racks at Cats Like Us and be sure to check out Dolly’s hand bags too! The Deliliah dress is available at www.catslikeus.com. Meagan Hendrickson was a founding member and now is a fashion contributor for Auxiliary. Her dresses are amazing! My hubby surprised me with one!! !